WESTLAKE VILLAGE, CA — David Smith, a Keller Williams broker who sells homes in the area currently burning in Southern California’s Woolsey Fire, spent Thursday calling a couple dozen clients, asking if they were okay as they evacuated homes threatened by walls of flame. The calls highlighted the evolving role agents might have to play during a natural disaster, but by Friday afternoon the flames had come for Smith too. “They had the police driving around with their speakers saying ‘please evacuate,’” Smith said, adding that he and his family quickly left their Calabasas home. When he talked to Inman he believed his home had survived, but like many in the area, he wasn’t entirely sure. By Friday evening, the Woolsey fire had burned more than 35,000 acres. Much of the charred area lies in upscale communities such as Calabasas and Malibu, which are nestled against the Santa Monica mountains at the north end of Los Angeles County, in Southern California. 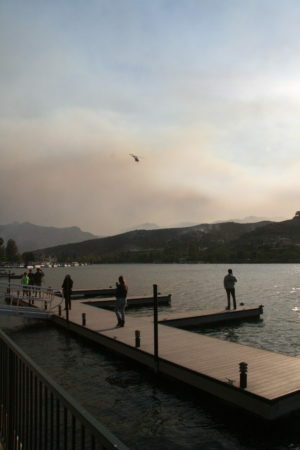 The fire was 0 percent contained as of Friday evening, officials announced at a news conference. The Southern California fires came just a day after another major fire, the Camp Fire, spread through Northern California’s Butte County across 90,000 acres, killing nine, placing 250,000 under evacuation orders, and destroying around 7,000 structures, including much of the town of Paradise, according to CNN. Hot, dry Santa Ana winds pushed the flames rapidly through the region’s dry brush Thursday and Friday, forcing thousands of evacuations. Greg Monterrosa, 39, was one of the first to get the order. He told Inman that he initially saw the flames Thursday when he arrived at his house in Agoura Hills. When authorities ordered him to leave later that evening, Monterrosa grabbed a photo album and his turtle, Jonathan, and asked his neighbors if they needed help. He finally fled with a friend to an office building in nearby Westlake Village where he runs a startup incubator. Monterrosa and others spent the night there. 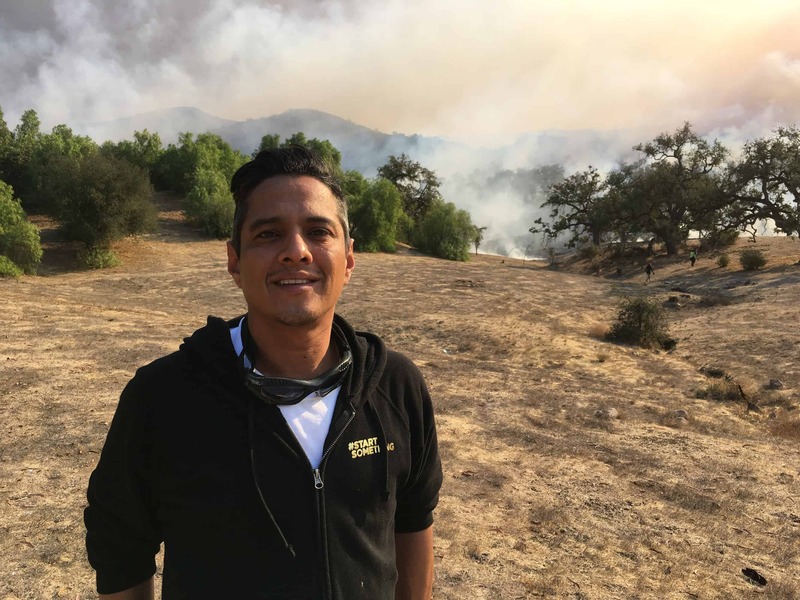 By Friday morning, as the flames raced toward the office park where Monterrosa was sheltering, he learned his neighborhood had burned. “The assumption is that the entire neighborhood is just gone,” he added as he watched flames soaring up from oak trees and looming over office buildings, including Westlake Village’s city hall. But Monterrosa added that the community being affected by the fire is tight-knit and resilient, and will recover. 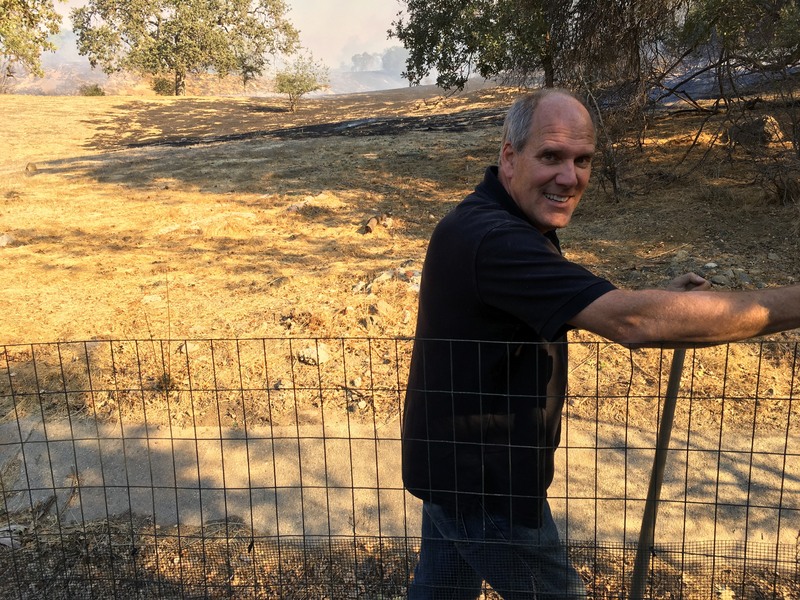 Nearby, Ned Davis, Westlake Village’s mayor pro tem, was shoveling dirt onto flames Friday afternoon as they inched across a field covered in dry grass. Overhead, an airplane swooped low and emptied a belly full of water behind a row of houses in one of the town’s tony hillside neighborhoods. 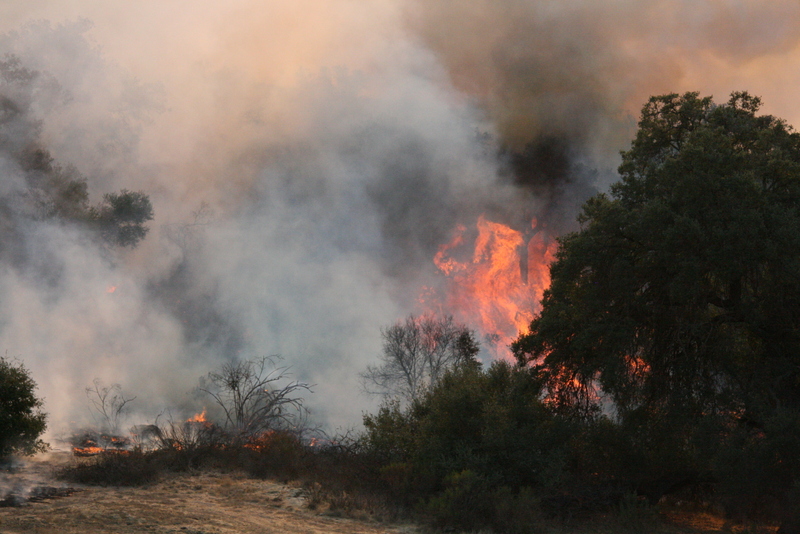 Davis’ efforts, and those of other locals and firefighters, did work: what an hour earlier had been an uncontrolled brush fire was gradually turning into a smokey, blackened hillside. It wasn’t pretty, but the danger, at least, was ebbing. 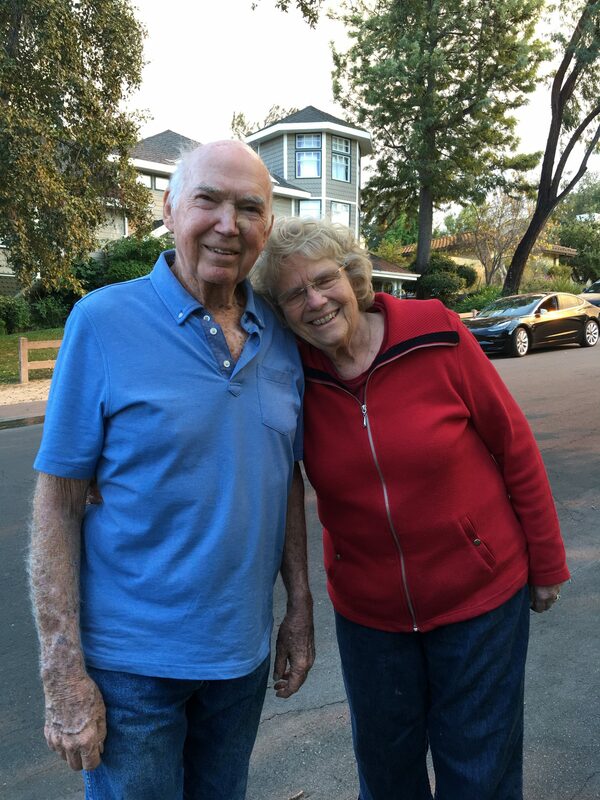 News that the flames were dying in the Westlake Village area was a relief to John and Pat McDonough, who moments earlier had watched fire and smoke rising from behind homes where neighbors were spraying down their yards and roofs with garden hoses. Pat told Inman the couple’s three daughters — plus several pets — had evacuated from nearby neighborhoods to her home Thursday night. But then, in the middle of the night, the couple got their own evacuation order and had to leave. “We’re doing okay,” Pat said, adding that the couple had moved into the area in 1971 and hadn’t had such a close call since 1978. And both Pat and John said the fire had not changed their opinion of the community. “It’s a great place to be,” Pat said. 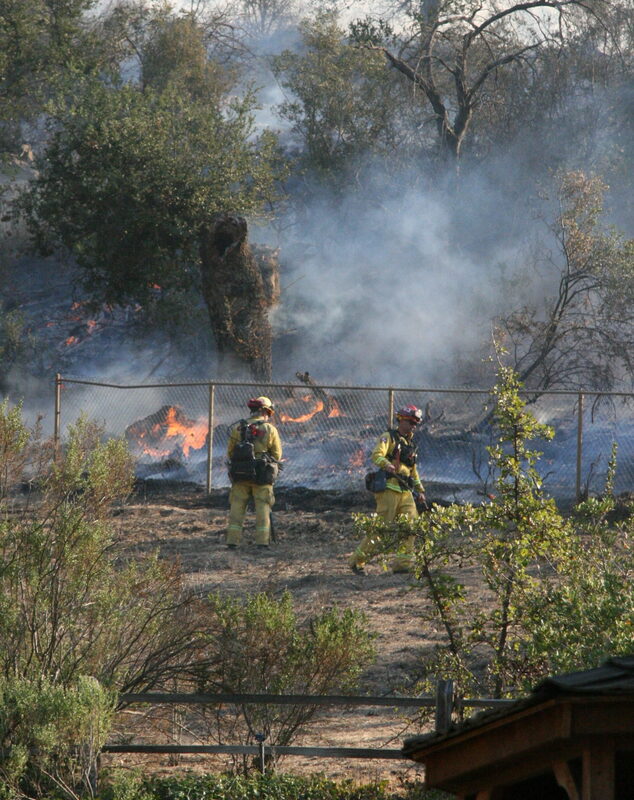 Others, however, may have second thoughts about living in a fire-prone area, Smith, the Keller Williams broker, said. “I expect basically a stopping period, or a quiet period,” Smith said. The effects of fire are complicated, though, and Smith pointed out that one of the biggest factors is insurance; if companies decide to pull out of the area or stop issuing new policies, that could make it more difficult for would-be buyers to get a home. However, Smith also said that a fire reduces inventory of houses, so it’s unclear what will happen in the immediate term. He added that he plans to meet with his brokerage in the coming days to assess what they should do next. “But I do think we’ll have a calm period,” he added of short-term home sales in the area. Most of the people who spoke with Inman, however, did not expect the community to decline in the long run. Kelly Russell, who owns a Chevron in Westlake Village, said that in the past he had seen flames crest a nearby hill, but not race all the way down and threaten nearby buildings. He described the area as an upper middle class neighborhood, and didn’t foresee that changing soon. “This is rare, this is extremely rare,” he said. Still, it wasn’t easy watching the area burn. 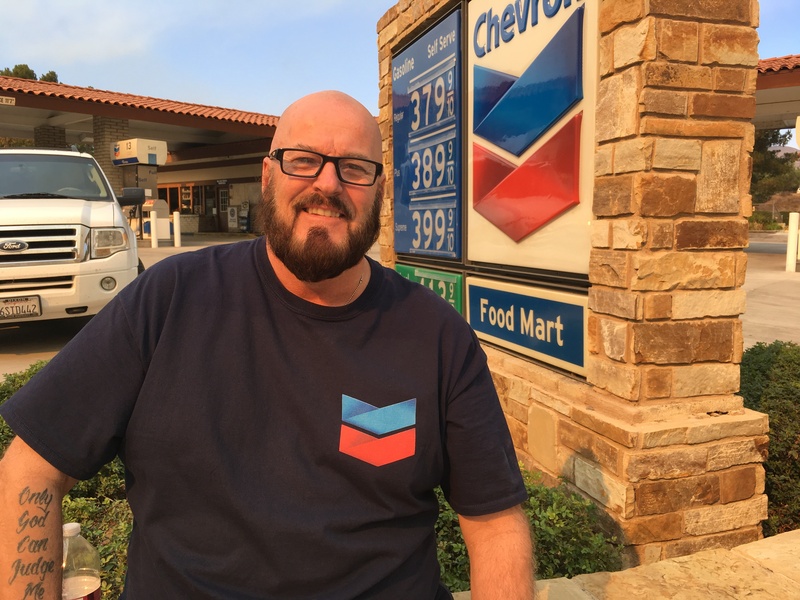 Russell spent much of the day sitting outside his Chevron station, which ran out of gas early in the day after flames drove out scores of evacuees but blocked tankers from bringing in new supplies. Over the course of several hours, he watched as flames encircled the hilltop home of a regular customer.